VMware, Microsoft, Nutanix, Open Source & datacenter networking. He also extensive experience on end-user computing solutions such as VMware Horizon, Citrix XenDesktop, Microsoft RDS and also on Cloud solutions like Microsoft Azure, VMware vCloud Air, Citrix Workspace Cloud, Office365, Microsoft EMS. Before joining BigTec, he worked for Commaxx where he was responsible all Microsoft related and also worked part time for Microsoft Norway as a Infrastructure Ranger for Server and Tools department. 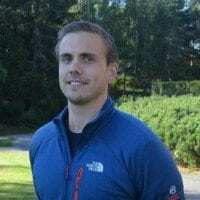 He is also a frequent speaker at Nordic Infrastructure Conference, and Citrix User Group and has been one of the few external speakers on the Citrix NetScaler Masterclass. Copyright © 2019 WhatMatrix.com - All rights reserved. Join thousands of experts using WhatMatrix for independent techonology advise. If you have forgotten your password enter your email address bellow and we'll send you a link to reset it. your details will not be shared with any 3rd party, your email will be added to our community mailing list for occasional updates.